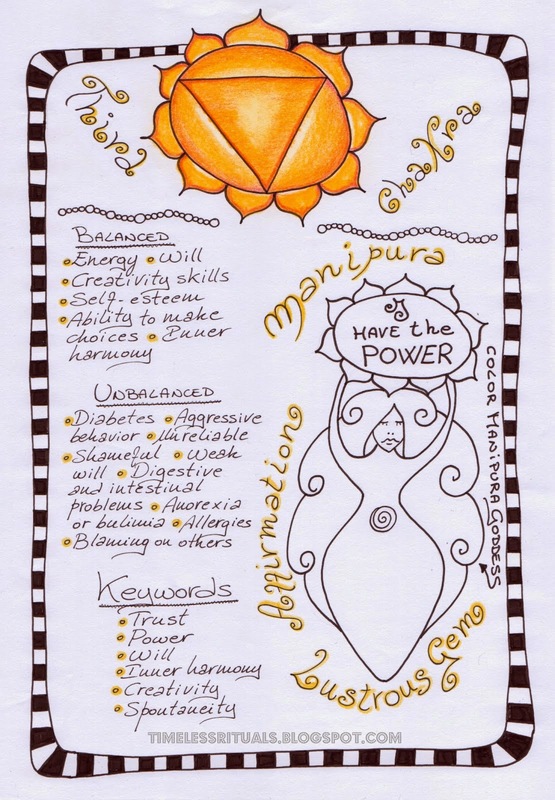 This week's focus will be on the 3rd chakra, the solar plexus, the Manipura. 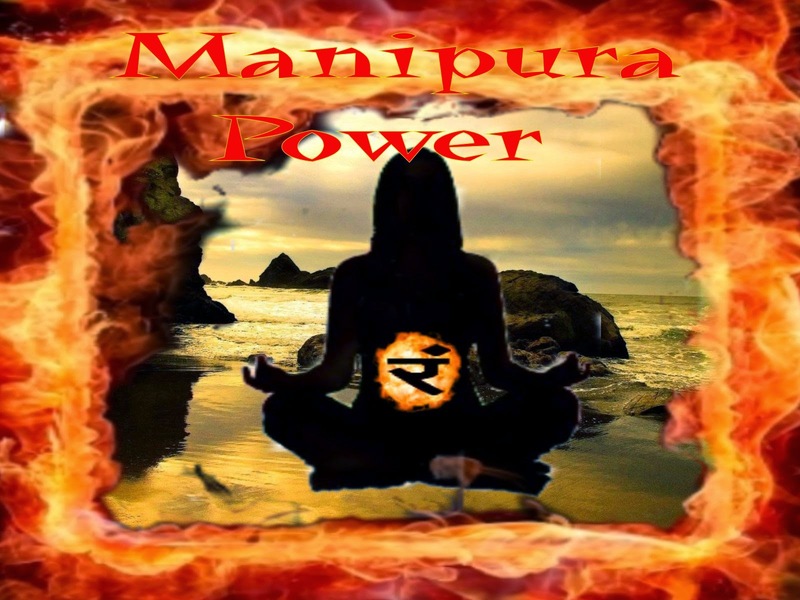 The Manipura is your power center. It is the home of your magical power. Have you been feeling as though your magics need a boost or that you are in a magical slump? Then here is where you need to start looking to fix it. 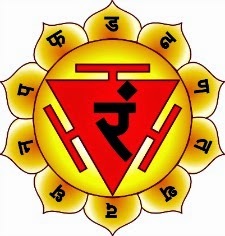 Your ego, your self, your courage, and your ambition are all controlled by this chakra. You will be able to stand your ground, make goals and stick with them, and you will know your self-worth. It is interesting that your courage rests in this chakra and cowards are called yellow-bellied. Because the more courage you have the more brilliant this chakra will shine. This chakra is a beautiful fiery golden yellow. It is your sun, your furnace, your source of unlimited power. 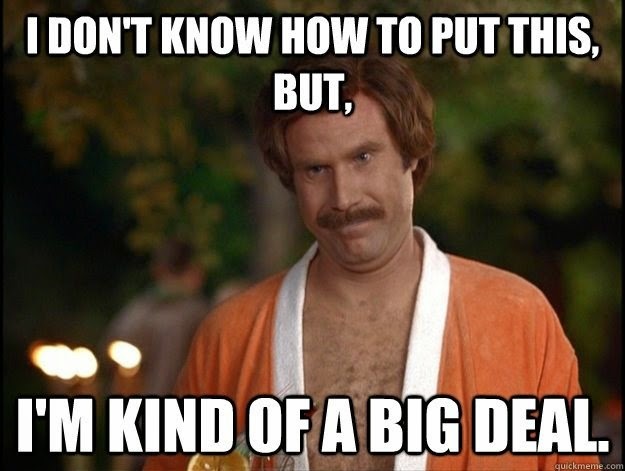 This is also a source of your prosperity. I know you would like to get this in good working order. With this chakra in smooth running order your possibilities will be unlimited. You will be able to create your world as you want it. You won't just see how you want your life, but you will be able to follow through with it. 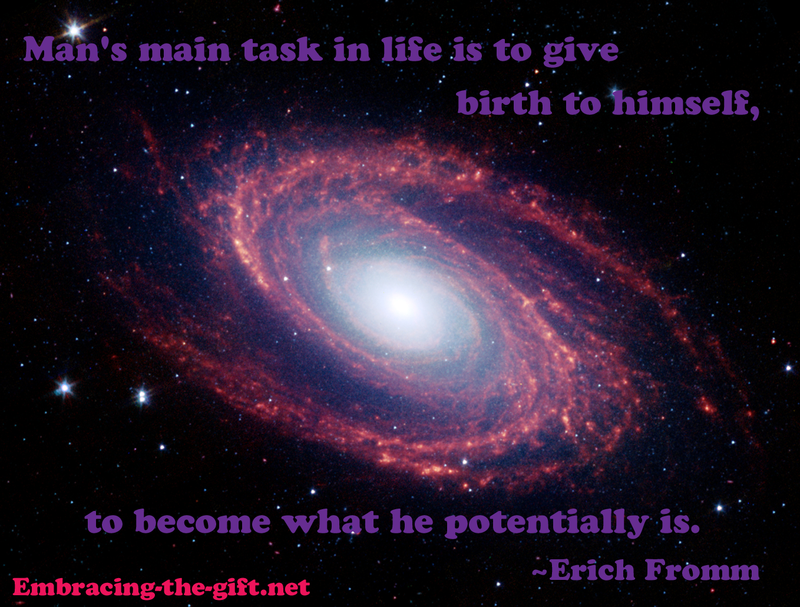 You will have your power and know how to use it. So, how do you build the fire in your power furnace? Your solar plexus is where your "gut feeling" intuition originates. When it is out of balance, you will have a hard time differentiating what your gut is telling you. This chakra sits in the upper portion of your abdomen between your diaphram and naval. What are some things that you can do to balance your Manipura? Of course the stones you want to work with are going to be anything in the fire colors, orange/red/yellow. Some of the stones that I listed on the root chakra and the sacral chakra can be used since they use the red and orange colors. Also, I previously did not take pics of hematite, but it is an excellent stone for all three chakras, so I finally took a pic of it today. 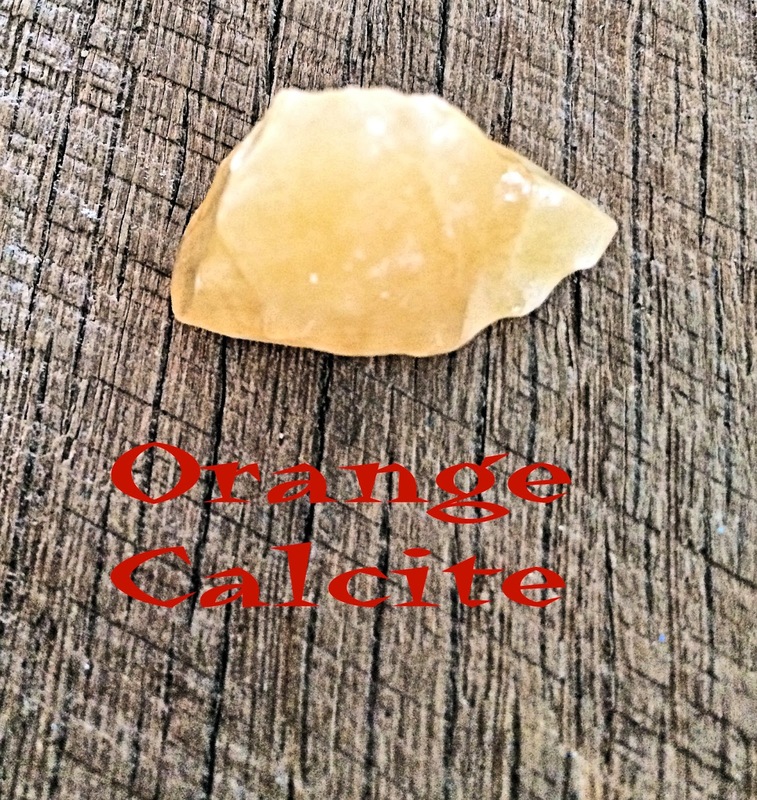 Orange calcite helps with irritable bowels syndrome, problems with your gall bladder, and general intestinal disorders. It also helps depression and will clear away tensions and anxiety. This one helps you with decision making and clear thinking. And also action for getting things done. 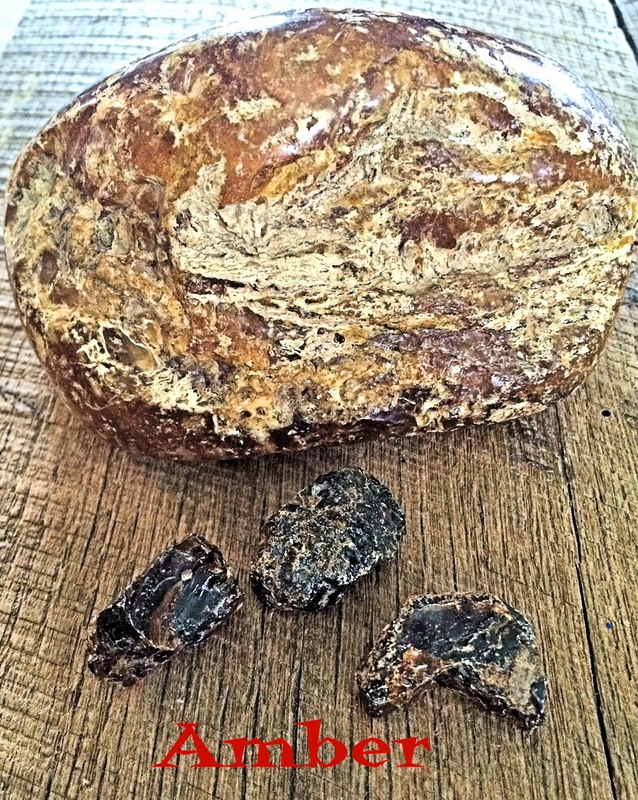 Amber helps out your spleen, liver, and gallbladder. It also helps for you to have a sunny disposition and works to boost your self-confidence. Boosts your energy and works on your liver, endocrine glands, and your gall bladder. 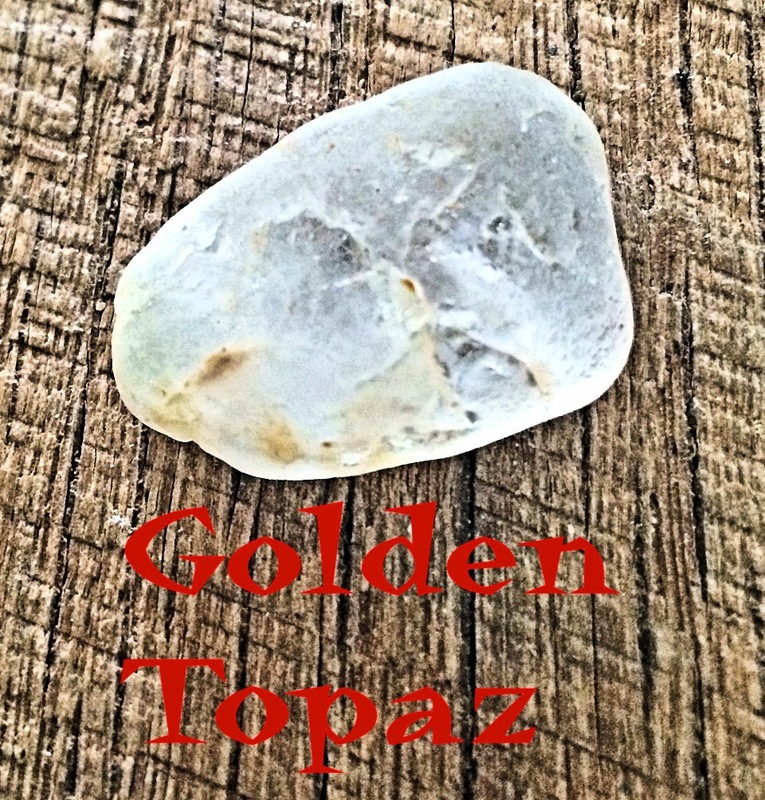 It helps to strengthen the solar plexus chakra by clearing the aura and releasing tensions. 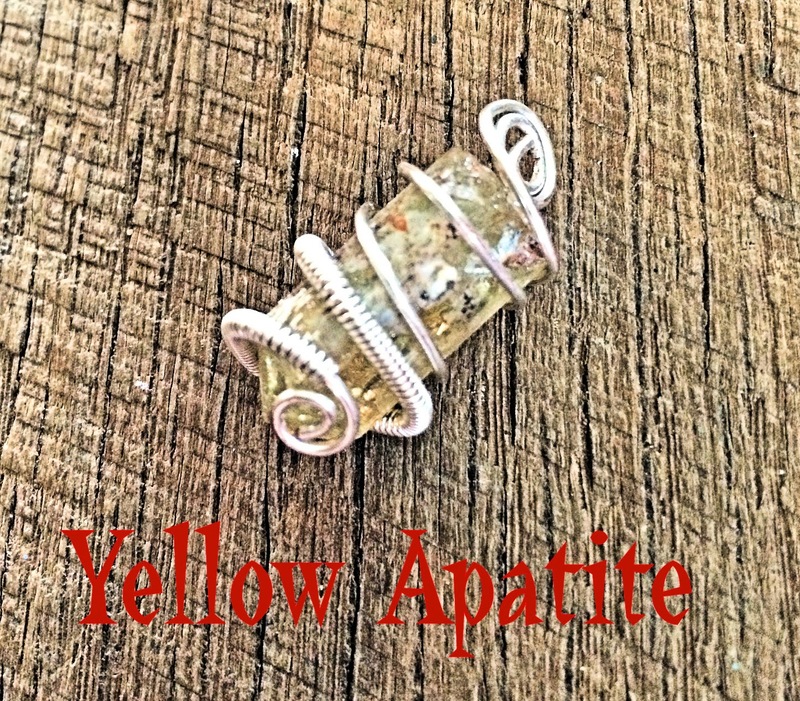 Prehnite is more of a green color, but it is a golden green. It helps not just your solar plexus chakra but it also will help with the next chakra in the series, the heart chakra. 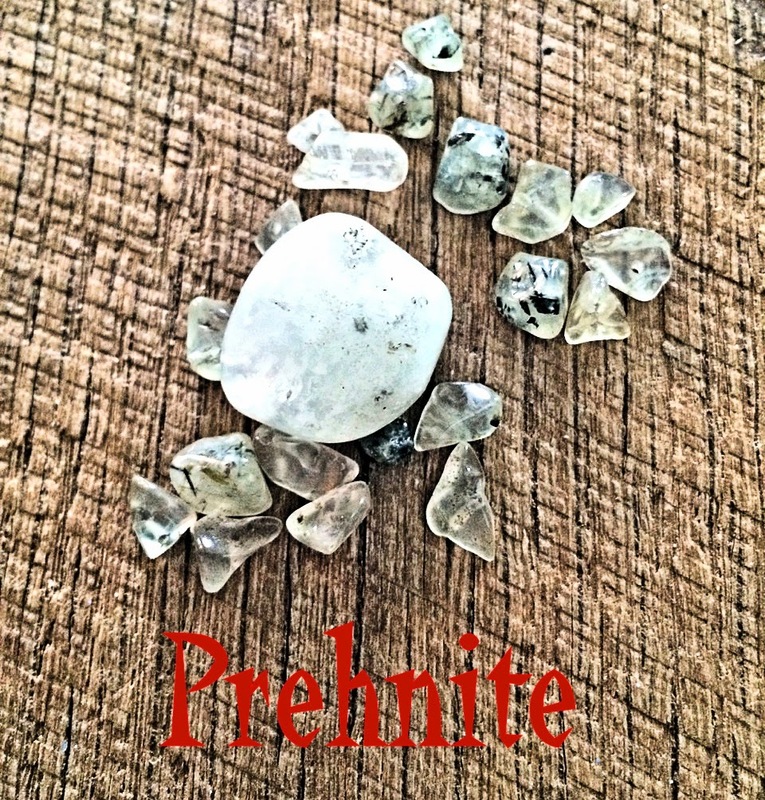 Prehnite helps by enhancing your precognition which will help with your judgement skills, your "gut feelings". 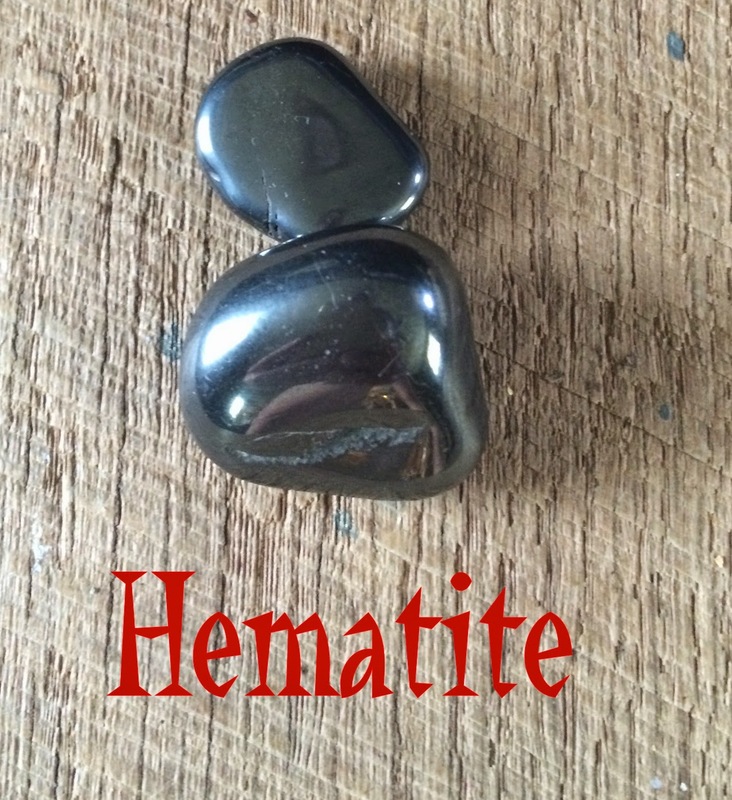 Hematite helps with nervousness and anxiety and also increases intuition. It also helps with OCD and eating disorders. I hope that you are enjoying the chakra series. My friend Rita's amazing, handmade magical books and my handpainted Spirit Boards! My other blog is moving! Content/Images copyrighted by Saga's Cottage. Blog design by PIP Designs. Picture Window theme. Powered by Blogger.